This tyre offers excellent performance all year long – from summer sunshine to heavy snow. 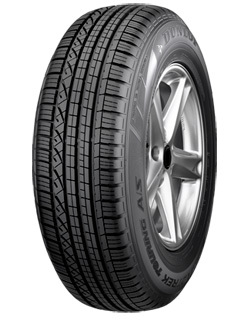 The Grandtrek Touring A/S is made up of a special polymer compound that delivers good grip in all temperatures. Featuring a stiff shoulder area, this tyre offers extra cornering grip when moving from straight to curves. The tread design is optimised for smooth handling and driving comfort in all weather conditions.